If you live in the United States and have ever complained about slow internet speeds, then thank the heavens that you don’t have the disaster that is Australian’ nbn network. Not to be confused with a television network, nbn is short for the National Broadband Network (NBN Co. Limited), and involves replacing the existing ancient copper cable telephone wires and modernizing them, promising super fast internet connection that will transform lives. It was supposed to make Australia’s paltry excuse for internet speeds faster, and revolutionize Australia as a leading force in tech. The truth: it’s been disastrous, a huge waste of money, and hasn’t actually helped much. Sometimes the internet speeds can be slower than before. So we are absolutely confident that 25 megs [Mbps] is going to be enough, more than enough, for the average household. People in the industry will tell you that they cannot get people to pay a significant premium for an increase in speed. That is partly because, that for a residential user, there isn’t much, if anything, you can do with 100 [Mbps] that you can’t do with 12 [Mbps]. 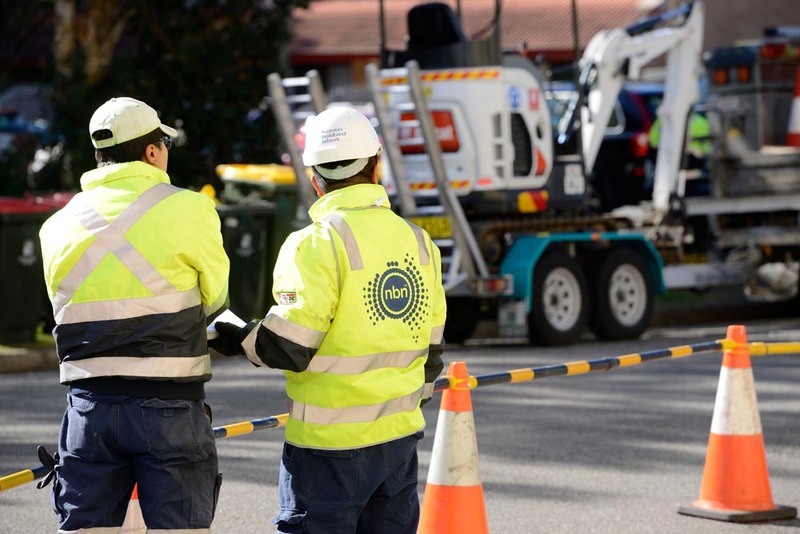 Morrow told the ABC that what consumers were paying for the nbn was not enough to recover the $AUD49 billion cost of rolling the network across the country. That’s forty nine billion dollars and we’re not even reaching the internet speeds promised by former and current Governments and, in some cases, internet speeds are slower. Malcolm Turnbull claims the original plan for the nbn—the better plan in the long run—was too expensive to roll out, but that’s just an excuse. The Liberal National Party (LNP) is very well known for being cozy with tycoon Rupert Murdoch. Increasing speeds the original way would have screwed over his business, especially cable network Foxtel, which is being harshly hit by services that thrive with faster internet speeds such as Netflix and Stan. Why would Murdoch want speeds that would impact upon his business? In 2014, Murdoch said the nbn was not needed in Australia. He said it wasn’t because of his stake in Foxtel, but this is Rupert Murdoch we’re talking about. He even said his method of rolling out the nbn would be more cost-effective. And, yet, $49 billion later… In the same The Guardian article, Murdoch spends paragraphs moaning about climate change as a hoax, “welfare rorters” and how great Tony Abbott was—basically he reads like an Andrew Bolt column. Hey, maybe we’re onto something? The truth is, even under the original roll-out planned by the Labor (Left-leaning) Government, a lot of money would have still been wasted. Regardless of whether it’s the nbn or some other plan, in a hi-tech society, faster internet speeds are incredibly important. If Australia wants to be seen anywhere in the vicinity of the forefront of technology, it’s not going to happen with the Federal Government throwing money at Bill Morrow and his cohorts for a system that isn’t working as intended. The reality is…about one-in-four people are unhappy with the way their service is being produced. That number is far too high to see that many dissatisfied people in the nation. Despite the nbn roll-out, Australia’s internet speeds have dropped from thirtieth in the world to sixtieth, and has only improved ten spots since then. So they admit forty nine billion dollars later. It’s beyond wishful thinking at this point to dream that Labor’s plans for the nbn could have been implemented instead of Liberal’s half-baked version. But how do we know that wouldn’t have gone the same way? Both sides are blaming each other for the colossal failure that is nbn, but what they don’t realize is—even when they’ve long forgotten about their political squabbles—the majority of Australians who were forced to connect with the nbn and change internet plans against their will cannot remove themselves from this nbn nightmare. Even if Bill Morrow and Co sail ship, we’ll be stuck with the remains. Maybe they should have thought this through a decade ago when former Prime Minister Kevin Rudd dreamed up the beautiful dream that was faster internet speeds. But hey, regardless of whether you vote Liberal, Labor or third-party, we can all agree upon one thing: the Government doesn’t truly care about us unless they want our money. The nbn is just further proof of it.